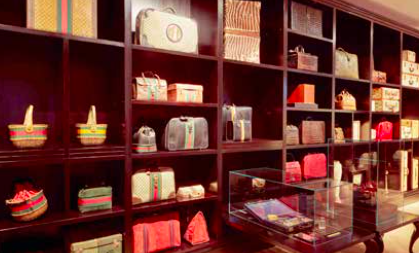 The Gucci Museum reopened with a new look designed by the brand creative director Alessandro Michele last month. Located on Piazza della Signoria, the museum spans three floors of the historic Mercanzia Palace right on the side of Palazzo Vecchio and is divided into three sections. On the ground floor is the boutique selling limited edition or one-of-a-kind Gucci items created specifically for the Gucci Garden and inspired by the label’s collections. 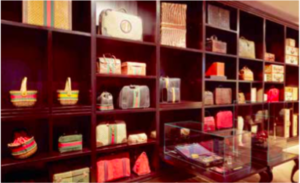 “The boutique seems like a bazaar and the museum has been transformed into something living, into a gallery that tells about Gucci thanks to Maria Luisa Frisa, a woman with great talent who understood what I wanted,” said Alessandro Michele. Next to the boutique is the Gucci restaurant, called Osteria Gucci, guided by one of the most renowned Italian chefs, Massimo Bottura. The third section of the museum is the gallery, which portrays the brand’s history through a variety of products ranging from travel and homeware to fashion and art. “It’s no longer a museum but rather a place that changes, divided into six rooms, three on the first floor and three on the second,” said gallery curator Frisa. The museum, which opened in 2011 to celebrate Gucci’s 90th birthday, is 1715 square meters in size. The location, the Mercanzia Palace, was chosen because it was once an administrative building that promoted the Florentine craft guilds of wool, silk and cloth importers. The exhibit begins with the story of the brand’s founder Guccio Gucci, who worked as a liftboy in London’s Savoy Hotel. Upon returning to Florence, inspired by upper-class British travelers, Gucci began to create fine crafted travelware. It is precisely for this reason that the initial exhibits show the emphasis that Gucci placed on travel, from diverse suitcases to the Gucci car that featured a monogrammed steering wheel, upholstery and tires. The next floor exhibits Gucci’s “Flora” motif. The design was created when Rodolfo Gucci commissioned illustrator Vittorio Accornero to create an original floral pattern for a scarf to be presented to Princess Grace of Monaco when she visited the Gucci Milan store in 1966. Variations of the pattern feature flowers, insects and berries for all seasons and have been printed on many products, such as dresses, purses and porcelain. The collection also displays other Gucci trademarks such as the horse bit, which represented the British upper class, and Gucci’s bamboo purse handle, invented during the supply shortages of World War II when bamboo canes were still available for purchase. The handles are now made from a rare bamboo root and take more than 13 hours to fashion.